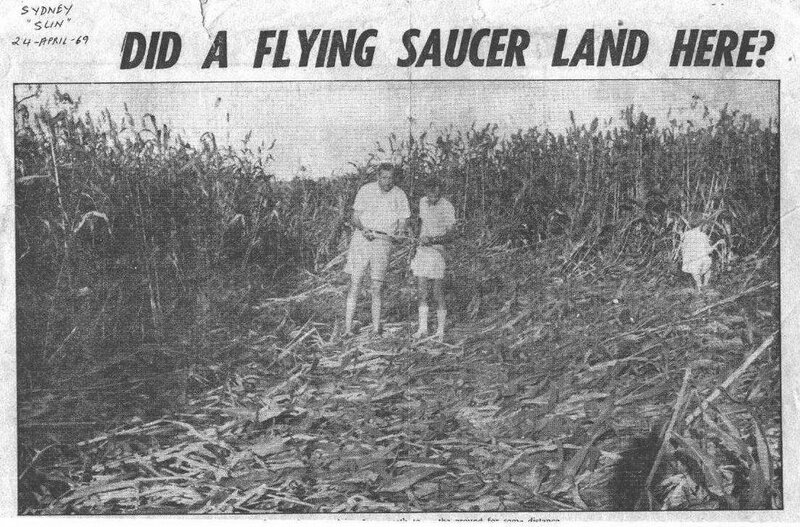 1969 - the north coast of New South Wales (NSW) was the scene of widespread UFO reports and physical trace finds - "UFO nests". One of them was my primary entry point into the physical dimensions of the UFO phenomenon. I joined the curious throng that descended upon the strange crop damage site at Bungawalban, on the property of local parliamentarian Ian Robinson. The story became a nationwide media sensation. 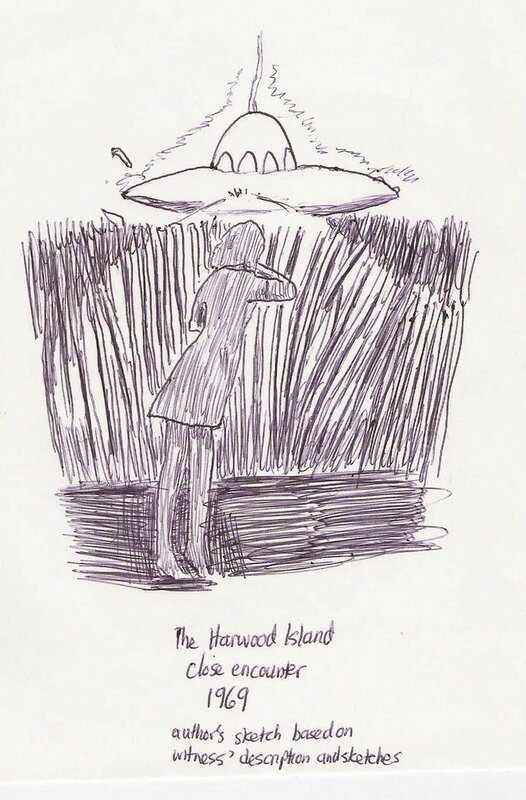 I would later learn of striking UFO encounters in the region such as at Harwood Island that seemed to involve levitation of the witness caught in the beam of light from a disc shaped craft. UFOIC actively investigated some of these reports. Interesting! 1969 was the year I had the bedroom visitation while visiting my Nanny & Poppy on Paling Street in Thornleigh, NSW Australia. I was only 2 years old at the time but remember it clear as day. Thanks for this. Perhaps you could elaborate on your experience at Thornleigh in 1969. I should note that Thornleigh is a northern suburb of Sydney. 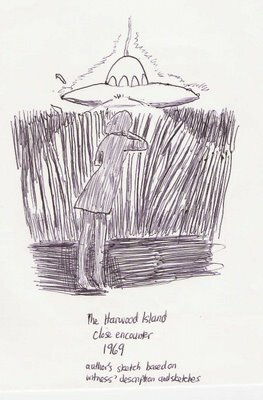 During April 1969 the Sydney suburb of Greenacre was the site of a UFO sighting where entities were seen inside the hovering craft. 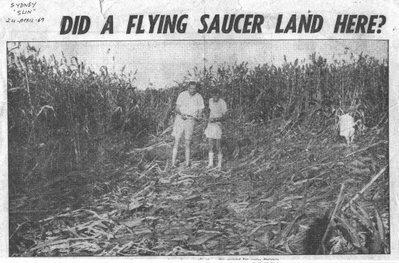 It was investigated by UFOIC during 1971 and reported in the UFOIC Newsletter No. 31, June/July 1971. My friend David Reneke (current the news editor of the excellent Australian astronomy magazine "Sky & Space") undertook a detailed retrospective investigation of the case during 1979 for UFOIC (aka the original UFOR(NSW)). This event particularly impressed David and we have discussed it a number of times over the years since then. It was featured in Roger Climpson's TV Channel 7 UFO documentary that appeared in the early 1970s. I remember seeing 3 ships flying very low over my house in Seven Hills NSW when I was a child. It would have to have been between 1969 and 1973. I remember watching them fly over the house and the football oval accross the road. They were not round like flying saucers. I could see the underneath very clearly and still can hear the sound in my head, like a humming I guess is the easiest way to describe it. I was wondering if there were any sightings in my area around that time reported by anyone?